LEXINGTON, Va. — On Friday, Jan. 18, the Colonials track and field team was at Youngstown State University for the Youngstown College Invitational. This Saturday, the team will run at the Corps Physical Training Facility on the campus of the Virginia Military Institute for the VMI Keydet Invitational. Last week in the Youngstown College Invitational, the Colonials had nine top-10 finishers: three in track events and six in field events. Madison Mueseler finished fifth in the 400-meter dash with a time of 58.66, which beat her previous personal best of 58.72. Sophomore Brooke Oldfin finished ninth in the same event with a finishing time of 60.07, which is also her new personal record, beating her 60.51 which was set at last year’s YSU Invite. In last week’s 4×400 meter relay, consisting of Nina Radisavljevic, Brooke Oldfin, Madison Mueseler and Anna Chasovakia won their heat with a 4:04.62, which put them in fifth place in the meet. In the Youngstown College Invitational, earlier this month, the same relay had a time of 4:00.12. 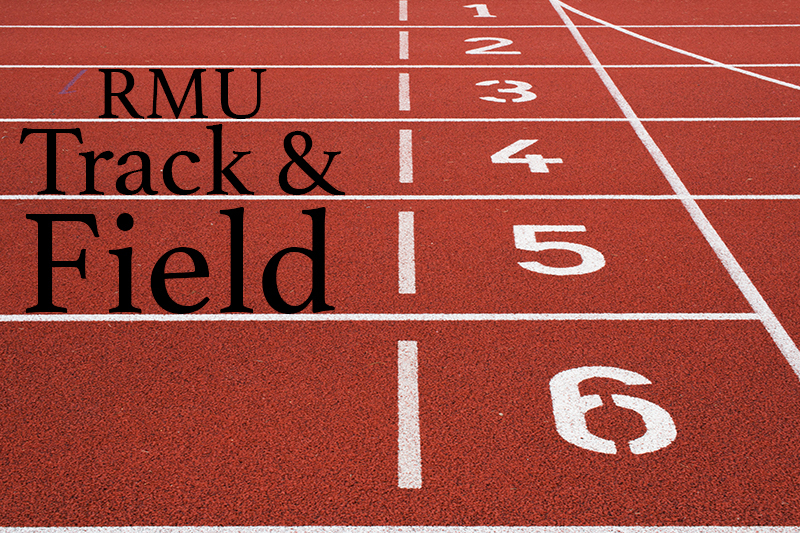 For the field events, Robert Morris had two top finishers in the high jump. Junior Ivanna Jones and senior Nicole Florio both tied for eighth with a leap of 1.46 meters (4’ 9.5”). They tied with Olivia Miller (Carlow), Nia Goodman (Point Park), Hailey Neilsen (Lake Erie), Laura Acton (Windsor) and Jessica Liechty (Ohio). In the other jumping events, the Colonials were represented in the top-10 by Ivanna Jones, who finished ninth in the triple jump with a 10.96 (35’ 11.5”) jump; and in the long jump Zoe Roush, a freshman from South Fork, Pennsylvania, finished in fourth with a jump of 5.53m (18’ 1.75”). In the weight throw, senior Sam Buck finished ninth with a throw of 15.99 meters (52’ 5.5”). To complete the throwing events, French national Estelle Kantende finished second in the shot put with a heave of 14.19 meters (46’ 6.75”). This will be the first time that the Colonials have competed in the VMI Keydet Invitational.